I’ve never really done a shopping haul kind of post but I’ve bought lots of exciting new products just lately all aimed at Spring, and I thought I would put it all together in one post. I always get excited by Spring and the shift between wearing a lot of neutrals which we all typically do in Winter time, into more colour. One of the areas I think we tend to forget is our make up, over Winter heavier foundation can really protect your skin from the elements, but once Spring has sprung I get an urge to lighten my foundation and I think it’s nice to invest in some new make up, to kind of freshen up your look. Now what I’m showing you below has been tailored for me, but my advice is pick a brand you happy to spend on, take time out of your day to go into the store with the mindset that you will get their brand rep to talk through their new collection, and get them to apply it on. Don’t feel you have to buy everything, but most likely you need to freshen your make up with two or three new items, so be sure you focus on them first. On my list was either a tinted moisturiser or a light foundation, my brief to the rep was I wanted a dewy finish, as I wasn’t planning on wearing powder and I wanted my face to appear fresh looking. She recommended No.7 Instant Radiance Foundation, and after checking my skin tone (which I knew would be warm) she confirmed I was a Warm Ivory. She recommended to apply this with a blusher brush and not a foundation sponge or brush, so that I would get that lighter dewy look – and I have to say I am very happy with the results. 10/10. Now my eyebrow maker needed replacing, I am currently using Brow Artist Genius Kit by L’Oreal, which if I didn’t like what she proposed I was planning to buy again. The No.7 Beautiful Eyebrow Kit offered a lot more than my existing palette, a choice of two shades of brown to enable me to mix, plus a highlighter too, which I don’t use on my daytime look, but I do use eyeshadow to do this for evening, and so by having this in my kit that could mean one less item to travel with – that’s a big tick from me. So far so good, but I need more time before I rate it. I then asked about blusher, I wanted a lighter option to what I use today, which is Luminous Blush (Russet) by Avon, this is I think very wintery and I’m not keen to continue using it into Spring. The rep talked me out of blusher, and suggested a bronzer kit, Shimmering Palette Rose, she felt it would give me more options, I could use the brown strip as a blusher, and then apply a mix of all shades over my face and neckline. She suggested to stay away from a typical blusher blush but to use a bigger one for a lighter effect, and builder it up over several applications to get the desired effect. Again I’m going to need longer to play with this, but I’ve been happy so far. If you want to see me talking through the products that I have bought, then these on my Highlights on my Instagram Profile, you will need to click here on your mobile and have an Instagram app to view. Boots No.7 is currently running an offer on that if you buy two products you get this kit below, the lipstick I chose was Sweet Chestnut 670. Now moving onto shoes, I’ve bought two pairs in the last couple of weeks, ready for my trip to Portugal. The espadrilles I’m about to show you are currently in the sale with not much stock left, so if you like them you need to buy them fast before your size sells out. I do not think that the website does the product justice, I was so happy with them once they arrived, fit is true to size and they are fabulous quality, Gaimo is a family-owned Spanish brand who specialise is espadrilles and I’ve been impressed with the quality of the suede. I’ve also got this as a highlight on my Instagram Profile talking you through these, so repeat as above, click on the link with your mobile and make sure you have an Instagram app to be able to view. I’ve also purchased these red kitten heels from New Look, I’ve posted previously about how I do not spend a lot of money on shoes, mainly because I find heels do not last with me plus I get bored easily and so designer shoes are just not my thing. I’m loving these little kitten heels, so comfy, great to wear with jeans, capri style trousers and I probably will be wearing them to the office with skirts – very versatile. Great price £17.99 and they also come in cream or black. I just love the suedette finish. 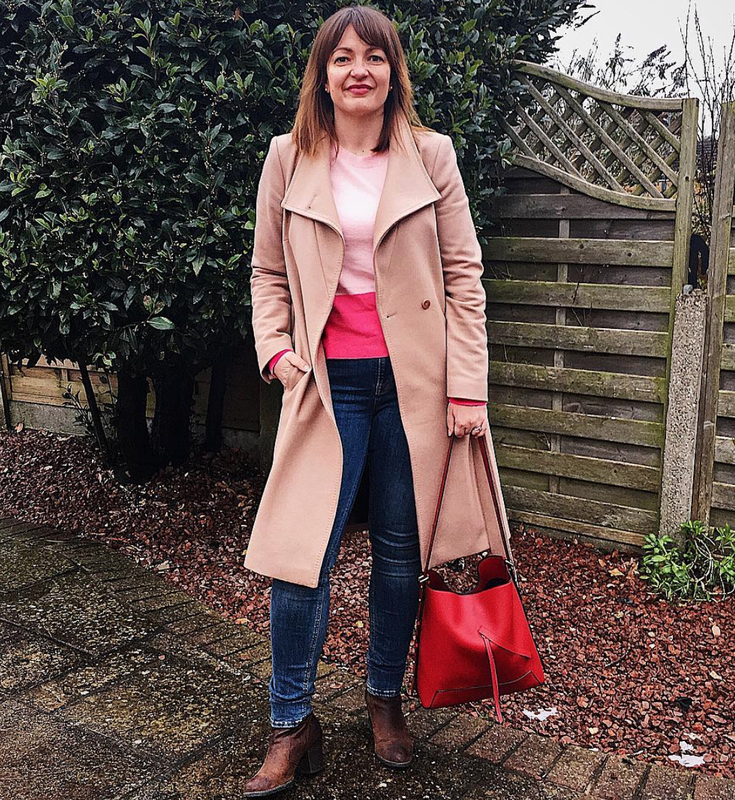 And rather annoyingly Topshop are not featuring my new red handbag (I know there is a lot of red going on, but you will see why over the next few posts – all will be revealed!) I’m absolutely loving this bag and it’s still available in store at £28. Just be aware it’s an open tote, so no zip to close it completely, but it does have a zipped non-integral pouch which is big enough for phone, keys and a small purse. So let me know if you like this style of post, are you happy with a mix selection of products – I sometimes feel some of my readers miss out as I tend to talk through new products on my social media sites. Let me know what you think, and let me know if you purchase any of these, I’d love to hear form you. 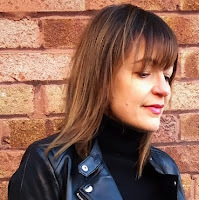 Today’s post SPRING SHOPPING HAUL was on Loved by Lizzi first.